Our biggest basketball contest of the year is here: the World Fantasy Basketball Championship! Do you have what it takes to finish at the top? 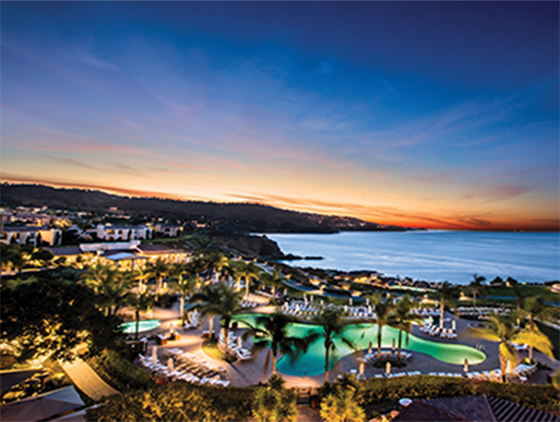 Qualify now to get a luxury trip to the Terranea Resort in Southern California, where you’ll compete in the WFBBC Live Finals for a share of $1,500,000. Not sure what to expect at a FanDuel Live Finals Weekend? Take a look at the action from some of our previous events. Make it to the Live Finals, and you are guaranteed a prize as per the table below. These fantasy legends have already earned their spot at the WFBBC. Enter a qualifier for your chance to join them. Welcome to the 2019 World Fantasy Basketball Championship (“WFBBC” or “Promotion”). 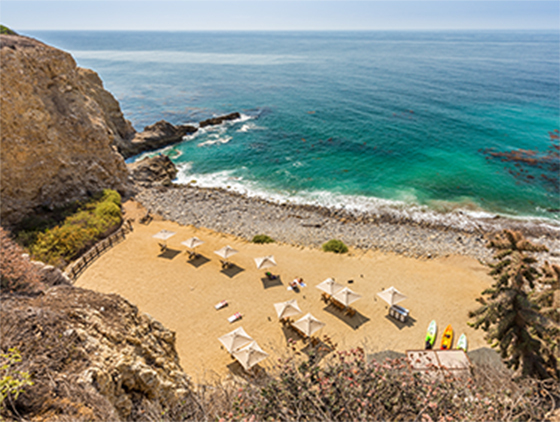 The WFBBC consists of a series of qualifier contests (“WFBBC Qualifiers”) and culminates with the WFBBC Finals contest at the Terranea Resort in Rancho Palos Verdes, California on February 23, 2019 (“WFBBC Finals”). Here are the detailed rules for the WFBBC. Users may qualify for the WFBBC Finals by winning an entry via WFBBC Qualifiers. The WFBBC Finals will include a total of seventy-five (75) entries. Multiple WFBBC Qualifiers will run every NBA week starting on November 13, 2018 and ending on February 13, 2019. Each WFBBC Qualifier will award at least one entry into the WFBBC Finals, though FanDuel reserves the right to run WFBBC Qualifiers that award more than one entry (“Super Qualifiers”). FanDuel also reserves the right to award entries into the WFBBC Finals through other promotions in its own discretion. In each WFBBC Qualifier, the userwhose team scores the most fantasy points will secure one entry into the WFBBC Finals (“Qualifier Winner”). Super Qualifiers may award entry into the WFBBC to multiple finishers (“Super Qualifier Winners” and, collectively with Qualifier Winners, “Finalists”). The prize for each Qualifier Winner and Super Qualifier Winner includes ONE (1) entry into the WFBBC Finals contest on Saturday, February 23, 2019; and a trip package consisting of a $1,000 travel credit for airfare and ground transportation to the hotel, three (3) nights’ accommodations for two (2) people, a $300 resort credit, and entry for two (2) people to the the Single Game Championship / welcome reception on Friday, February 22, 2019 and the WFBBC live finals viewing party on Saturday, February 23, 2019 (collectively, the “Trip Package”). Approximate Retail Value of the Trip Package is $5,000. Actual value depends on city/day/time of departure. Any difference between stated value and actual value will not be awarded. Travel credit will be deposited in Finalists’ accounts; Finalists are responsible for making all travel arrangements. The entry into the WFBBC Finals and Trip Package are non-transferable, except where noted otherwise in these terms and conditions. Additional guests may be able to attend the Friday and Saturday events, but will be subject to additional charges. Entry for additional guests is NOT guaranteed and will be evaluated on an ongoing basis, factoring in event capacity, overall group size, event space capacity, and catering & staffing resources. Users are only eligible to win a maximum of five (5) entries each into the WFBBC Finals. Should a user win a second entry into the WFBBC through a Qualifier, they may choose between receiving an additional transferable Trip Package (plane ticket, hotel accommodations, and a pair of tickets to the viewing parties per entry) for an individual of his or her choosing OR a cash value option of 75% of the trip package ($3,750). This choice shall also be offered to a user winning a third, fourth, or fifth entry. Once a user wins five entries into the WFBBC Final, he is ineligible to win any additional entries into the WFBBC Final. Any user who enters a lineup in a WFBBC Qualifier or Super Qualifier that finishes in a position to win an entry into the WFBBC Final, but would result in the user having an excess of five (5) entries into the WFBBC Final, will be awarded the cash value of the entry into the WFBBC in lieu of winning another seat in the WFBBC Final. Super Qualifiers may be held, in which multiple entries into the WFBBC Final are awarded. In a Super Qualifier the users with the highest scoring entries will win an entry into the WFBBC Final in accordance with the number of entries into the WFBBC Final being offered in that particular Super Qualifier. For example, if FanDuel announces that three entries into the WFBBC Final will be awarded in a specific Super Qualifier, then the three highest scoring entries in that Super Qualifier will each win one entry into the WFBBC Final. The WFBBC Finals will take place at the Terranea Resort in Rancho Palos Verdes, California on Saturday, February 23, 2019. Each WFBBC Qualifier, as well as the WFBBC Finals, will use standard FanDuel NBA rosters and scoring rules, as explained here: https://www.fanduel.com/rules. In the event of a tie for a finishing position that awards an entry into the WFBBC Finals in a WFBBC Qualifier or Super Qualifier, the tied users will play a one-day 'playoff' contest to determine finishing position. The playoff will be a Head-to-Head or private league contest using standard FanDuel NBA rosters and scoring rules. All other ties (whether in the WFBBC Final or in a Qualifier) will result in the tied players splitting the prizes for the tied finishing positions. Each Qualifier will award an entry into the WFBBC Finals (cash value of $20,666.67), and Trip Package (retail value of $5,000) to the first place finisher (or top eligible finishers for Super Qualifiers). Any other prizes for Qualifiers and Super Qualifiers will be published in advance of users being able to enter such contests. Upon winning a Qualifier or Super Qualifier, Finalists will also receive a cash prize equal to the minimum possible payout for the WFBBC Finals (“Early Prize”). Should a Finalist be deemed ineligible for the WFBBC Finals, then he or she forfeits any right to receive any Early Prize, and if such Early Prize has already been rewarded it will be revoked. The first place finisher in the WFBBC Finals will receive a cash prize of $300,000. All other prizes for the WFBBC Finals will be published when the first WFBBC Qualifiers are created. Any Early Prize paid out to Finalists will be deducted from any prizes won in the WFBBC Finals. Participation in the WFBBC Finals and the payment of any prize won at the WFBBC Finals are contingent on strict compliance with the WFBBC Finals Affidavit of Eligibility. No promotion of other websites or business - of any kind - is allowed by Finalists at any events hosted by FanDuel, unless explicit written permission has been granted by FanDuel in advance. FanDuel reserves the right to revoke attendance privileges at any event hosted by FanDuel should a Finalist violate the terms of the WFBBC Finals Affidavit of Eligibility. Contestants are only eligible to qualify for a maximum of five (5) seats in the WFBBC Finals. All US residents who win an entry into the WFBBC Finals will be required to provide address and social security details to be eligible for WFBBC Finals. These details will be used to file a 1099-MISC with the Internal Revenue Service for any users whose winnings on FanDuel exceeds $600 for the prior year. Failure to provide these details will result in the user being disqualified and having his or her finishing position swapped with the first eligible runner-up. Winners are responsible for paying all taxes, fees, registration and insurance, for any prizes won in connection with this contest, including non-cash prizes. As described in further detail in the WFBBC Finals Affidavit of Eligibility, Finalists agree that their full names, location and/or photos and videos will be used for marketing purposes. They also agree to speak to bloggers and other journalists and media personnel where applicable prior to, during and after the event, and they agree to participate in additional FanDuel marketing activities, all without additional compensation. Any Finalist unprepared to adhere to this requirement will be disqualified and have his or her finishing position swapped with the first eligible runner-up from the Qualifier in which they won their seat. 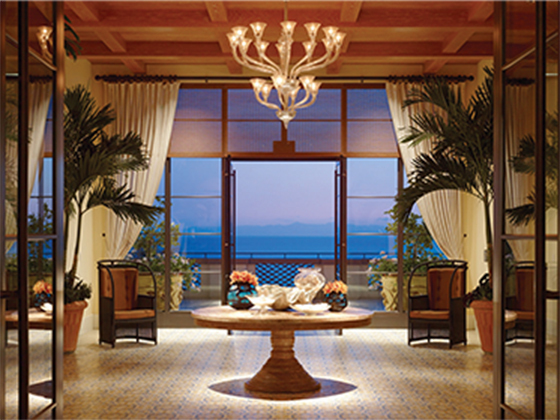 The WFBBC Finalists will be given accommodations for the nights of February 21st, 22nd, and 23rd, 2019 at the Terranea Resort in Rancho Palos Verdes, California. If a Finalist cannot make the trip due to circumstances that FanDuel, in its sole discretion, deems extreme and outside the Finalist’s control, FanDuel may authorize the Finalist to nominate one other person to attend the WFBBC Finals in his or her place. However, the Finalist will still be expected to fulfill his or her publicity obligations. FanDuel requires WFBBC Finalists to sign the below Affidavit of Eligibility to confirm their identity and eligibility. Any Finalists refusing to sign the Affidavit of Eligibility upon FanDuel’s request will be disqualified and ineligible to receive any prizes. I represent that the information provided above is accurate and complete. I represent that I was not physically located in Alabama, Arizona, Hawaii, Idaho, Iowa, Louisiana, Montana, Nevada, or Washington at the time of entry into any WFBBC Qualifier, Super Qualifier or the WFBBC Final. I represent that I am a resident of the United States or Canada, I am over 18 years of age (21 if in Massachusetts). I agree to bring government-issued photo identification to the WFBBC Final Event (defined below) for FanDuel to verify my identity and date of birth. I agree to attend the WFBBC Finals on Saturday, February 23, 2019 in Rancho Palos Verdes, California. Should I finish in the top three spots in the WFBBC Finals and not attend the awards ceremony, I will be eligible to receive only 50% of any prize money I otherwise would win at the WFBBC Finals unless I obtain FanDuel’s written permission at least 48 hours prior to the official start time of the Saturday WFBBC Finals. Because of anticipated media presence and the significant marketing value the Saturday event has for FanDuel, and because the value of my participation in the Saturday event cannot be calculated with precision but likely is proportional to my ranking in the results of the WFBBC Final, I agree that this prize reduction is a reasonable method for compensating the company for the losses it will sustain by reason of my failure to fully participate in the Saturday event. I agree to refrain from any behavior or communication during the WFBBC Final Event weekend that would harm the image or reputation of FanDuel, the WFBBC Final Events or the FanDuel user community. I will speak with any interested bloggers and other journalists and media personnel throughout the WFBBC Finals Events, including when such personnel are recording the conversation for publication. At FanDuel’s request, I will participate in a specified number of other hours of any FanDuel marketing-related activities that FanDuel organizes (whether during the WFBBC Final Events weekend or otherwise, at FanDuel’s discretion), such as participating in FanDuel marketing photo shoots or interviews with the media, and I agree that my local travel to and from such activities will take place at my own expense and will not count toward the hour total. I agree to be available for these marketing-related activities from 30 days before the WFBBC Final until 90 days after it. If I win first, second or third place in the WFBBC Final, the total hours for these activities will be 30. During the WFBBC Final and at the party the night before the WFBBC Finals, I will not participate in any promotional or marketing-related activities for other daily fantasy websites. I agree that FanDuel and its service providers may use my name, any biographical information that I provide to FanDuel, image, likeness, photo, and voice for advertising, publicity, and promotional purposes before and after the WFBBC Finals without additional notice or compensation. FanDuel and its service providers may photograph, film, videotape, record and/or portray my name, voice, portrayal, actions and/or likeness in connection with the events and activities described in this Affidavit of Eligibility (“Images”). I grant FanDuel ownership of any copyright or other rights I may have in the Images. I grant FanDuel an irrevocable, perpetual and unrestricted right to publish, distribute, copy, perform and otherwise use in any manner the Images and derivative works thereof, in conjunction with my own or a fictitious name, or without any name, and in conjunction with any biographical information that I have provided to FanDuel, or without any such biographical information in any medium, and in all media now or hereafter known, including over the Internet, for promotion, advertising, trade or commerce, or for any other purpose whatsoever. I also grant FanDuel an irrevocable, perpetual and unrestricted right to publish and otherwise use my name for such purposes, whether or not in connection with the Images. I consent to the digital compositing or distortion of the Images, including any changes or alterations as to color, size, shape, perspective, context, foreground or background or associated audio. I also consent to the use of any published matter in conjunction with such Images. I waive any right that I may have to inspect or approve the finished product or products and the advertising copy or other matter that may be used in connection with the Images or my name or the use to which they may be applied.I release and discharge FanDuel, its service providers, and assigns from any liability in connection with their use of the Images or my name, including without limitation any claims for libel or violation of any right of publicity or privacy. FanDuel, and its respective parent companies, subsidiaries, affiliates, officers, directors, employees, governors, owners, distributors, retailers, agents, assignees, advertising/promotion agencies, representatives, and agents (“Released Parties”) shall have no liability and will be released and held harmless from any claim, action, liability, loss, injury or damage, including, without limitation, personal injury or death to winner or any third party or damage to personal or real property due in whole or in part, directly or indirectly, by any reason, including the acceptance, possession, use or misuse of the prize and/or participation in WFFBC. This grant of rights is binding upon me and my heirs, estate, legal representatives, and assigns.